To reduce your cost, Brandsport offers this item in Bulk (sold here individually). Gorilla also lists this same item in 4-piece sets as Display Package # 41127BL and Bag # 41127BLB. 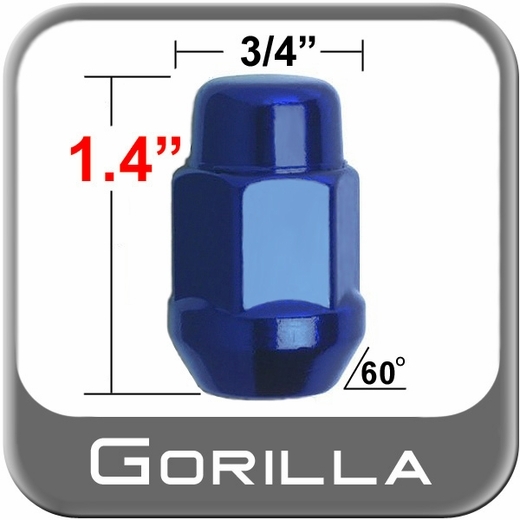 Gorilla lug nuts are engineered to exacting standards for uniformity and long life. Durable quality are one of the many facets or Gorilla Blue lug nuts. 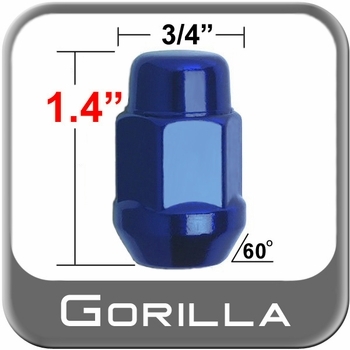 You can reduce vehicle vibration when properly installing a new set of Gorilla Blue lug nuts. Enjoy the lasting beauty with a set of Gorilla Blue lug nuts.